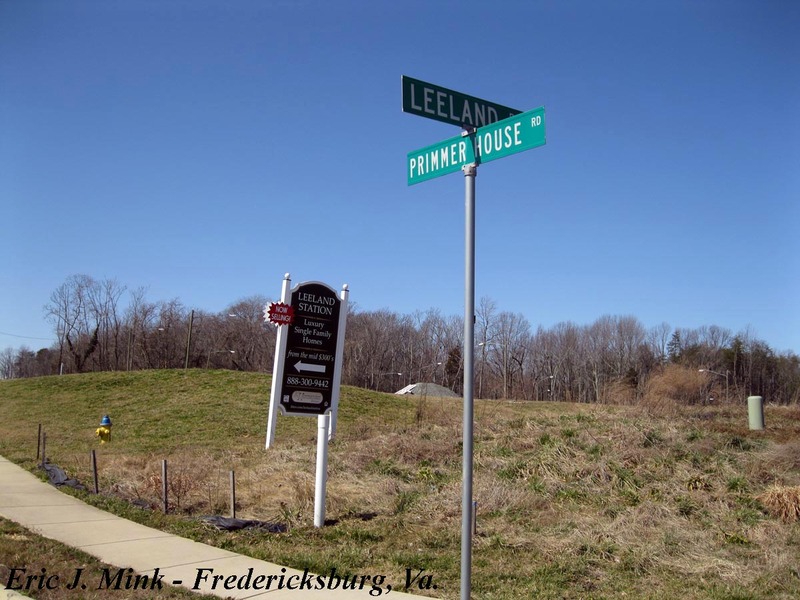 A residential development company purchased the old Primmer farm in 2002. To satisfy a proffer associated with a county re-zoning, the developer conducted a cultural resources assessment of the 447-acre property. 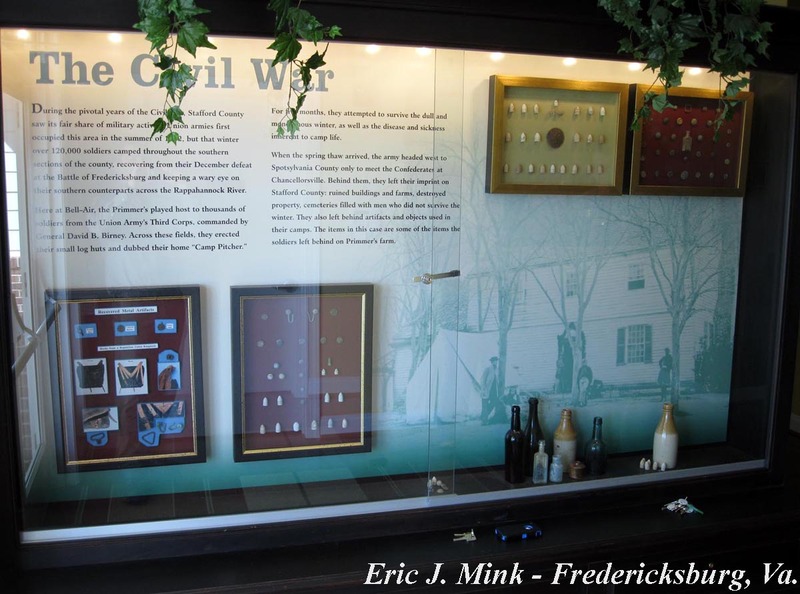 In addition to the site of Bell-Air, the home, archaeologists identified at least five distinct Civil War campsites. 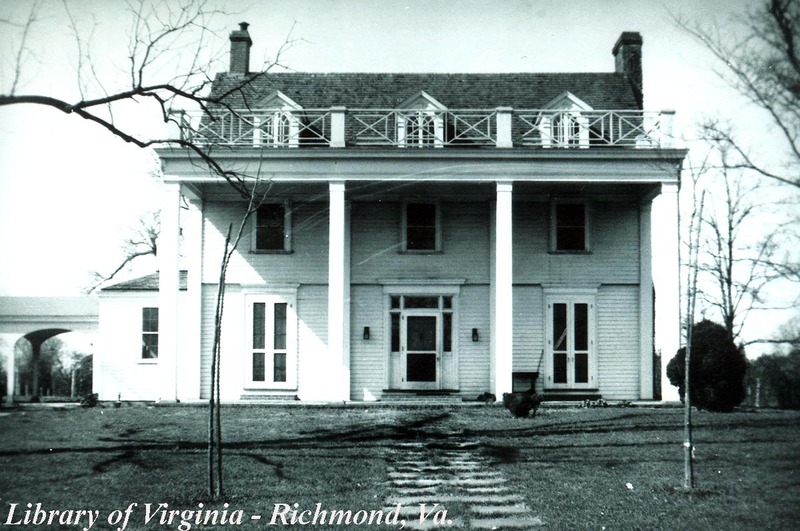 Through an agreement worked out between the United States Army Corps of Engineers, who had jurisdiction over wetlands within the project area, and the Virginia Department of Historic Resources, the developer agreed to preserve a small portion of one campsite and two family cemeteries, conduct additional archaeological work at the house site, and pay for the erection of three interpretive signs inside the new residential neighborhood. 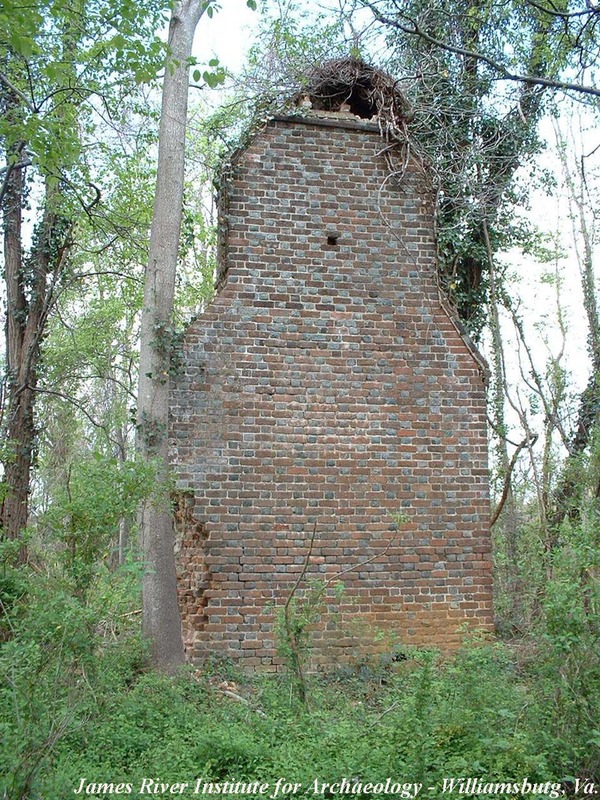 In 2002, the only standing remnant of the Bell_Air house was this massive chimney. After the archaeologists completed their work at the Bell-Air house site, work on the development began. A new road was built right through the house site. 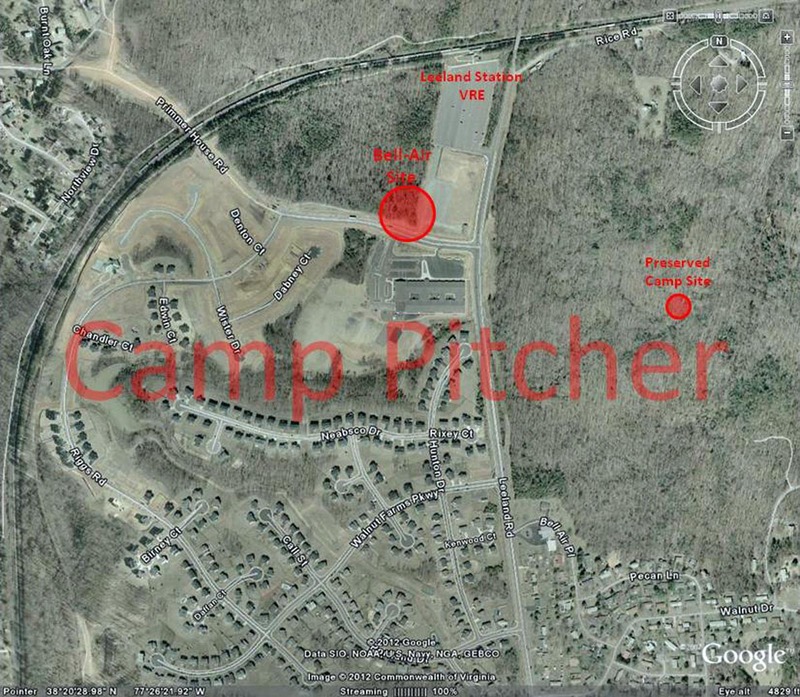 New homes covered the site where once soldiers’ huts comprised Camp Pitcher. 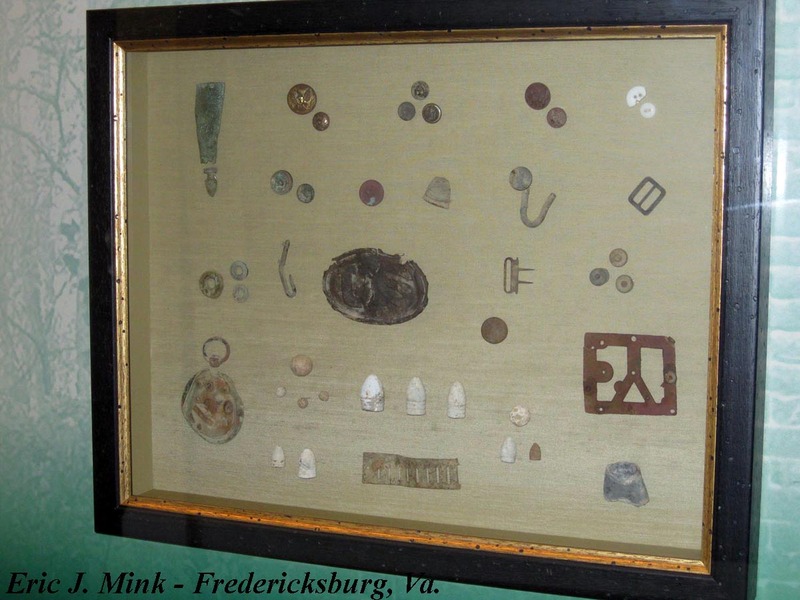 During the construction, workers and permitted hunters uncovered numerous artifacts left by both the property owners, as well as the soldiers who camped at Bell-Air. 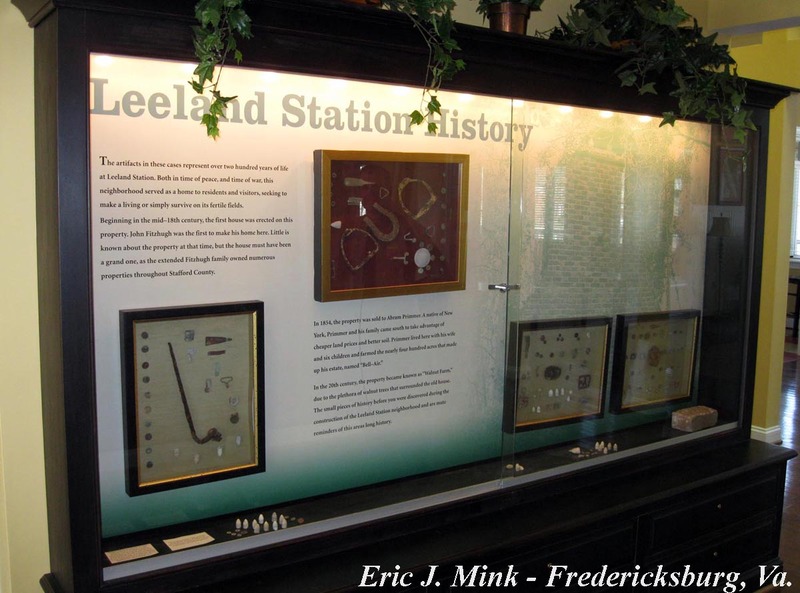 Turned over to the developer, the artifacts are on display inside the Leeland Station Clubhouse. Bell-Air looks much different today than it did during the winter of 1862-1863. Soldiers’ huts are now replaced by “Luxury Single Family Homes.” The railroad that once carried the wounded and sick to the hospitals in Washington now carries commuters each morning and evening. The Primmer name, however, can still be found, if you know where to look. Is this the same Bell-Air that was owned by Claire D. Schlemmer (male) at the time of the fire – Feb 18, 1941? He was my great grandfather and I’m tracing our family roots. Hi Tricia, Aunt Kate here. Yes, this was the family farm. Jane has the sign from the farm in her house. Do you have any info on John Fitzhugh when he owned it before the Primmers? And where does the name Leeland come from?